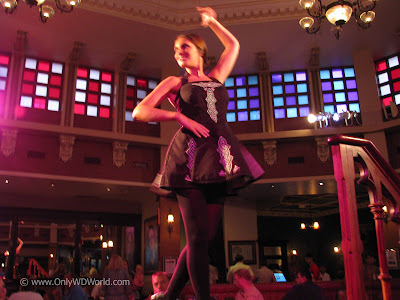 If you are vacationing at the Walt Disney World Resort during St. Patrick's Day weekend make sure you head to Downtown Disney for authentic Irish Food and entertainment. The place to be is Raglan Road Restaurant and they have a special weekend full of events and entertainment sure to please those with Irish Roots and those who just enjoy a good time. Raglan Road Restaurant, located in Downtown Disney at the Walt Disney World Resort, is the place for your taste of Ireland any time of the year with a menu design by award winning Chef Kevin Dundon, Irish Dancers and music, and a welcoming atmosphere that transports you to Ireland whenever you walk through the doors. During St. Patrick's Day Weekend a special celebration occur with three days of music, dancing, food, and celebrations of all things Irish! This becomes the center hub of the Downtown Disney St. Patrick's Day festivities. • Creel with Special Guests on stage from 6pm, a show not to be missed! Saturday March 17th, St Patrick's Day!
" La Feile Padraig/Happy St. Patrick's Day!! " 0 comments to "St. Patrick's Day Festivities At Disney World March 15-17"